Cynfre's Bakery was started by Chef Cynthia Wadnola in 1989. 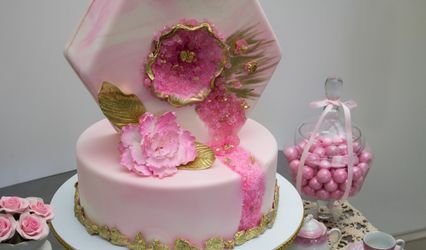 She is a graduate of the Culinary Institute of America with a degree in Pastry Arts. The bakery is a family owned business that has now transitioned from mother to son. Chef Chris Wadnola is now taking lead in the kitchen! Chef Chef grew up in the bakery business and after eight years working side by side with mom. From there, he also attended Culinary Institute of America and received a degree in Pastry Arts and graduated first in his class, just like mom! After graduation, Chef Chris spent a couple more years at the family business and then decided to spread his wings. 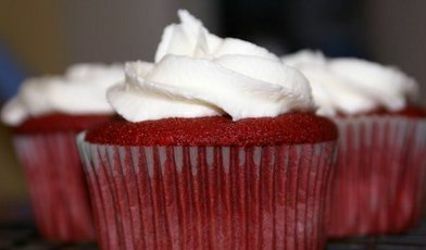 He then moved to Connecticut and took the position of Executive Pastry Chef at the Waters Edge Resort and Spa in Westbrook. After four years, Chef Chris then moved to Naples, Fl for some sun as Executive Pastry Chef at the Naples Beach Hotel & Golf Club. He spent eight years at that location until Mom and Dad came calling. Chef Chris decided to move back home to help expand the family business and bring his amazing skills and desserts to the Hudson Valley. We offer personalized service and strive to go above and beyond in customer service. We like to start with a consultation to obtain all the details of your special day. We like for you to gather ideas and inspiration from magazines and online. 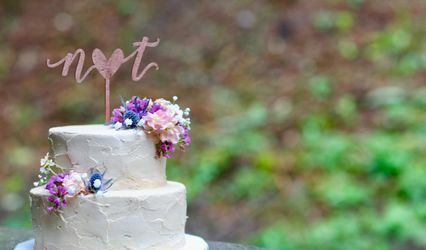 From there, we show our portfolio for you to see certain aspects of wedding cakes like design, shape, and color. After the consultation, we move forward to a tasting. Chef Chris makes four mini tasting cakes for you to try so you can try all the components together and cut into the cake like you would on your special day. For questions and inquiries, please give a call at 845-383-3883 or feel free to email us at fredsplaceny@gmail.com. 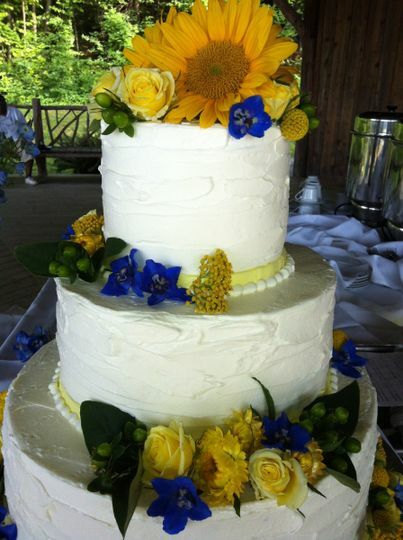 From our first conversation to the tasting to the wedding cake itself, working with Cynfre's was an absolute pleasure. Christine and Chris are a fantastic team: professional, friendly, resourceful. Christine made excellent suggestions on the numerous combinations of cakes and fillings available to try, and we ended up choosing the marble cake with cannoli filling, 3 tiers for 75 people. DELICIOUS!!! We had so many compliments on it! Everything was set up and displayed beautifully as well. Couldn't have asked for a more delectable addition to our day, and we are definitely looking forward to tasting it again on our first anniversary. Highly recommend! Cynfre's bakery provided a lovely cake for our wedding! We got so many compliments on it, which seems rare for a relatively standard wedding cake. I think this goes to show how talented Chef Chris and his wife Christine truly are. They were incredibly easy to work with and responded to emails quite quickly, which is always appreciated by a hectic bride! Cynfres's Bakery did an amazing job with our wedding cake! It was a great experience from the tasting to our big day! During the tasting you get 3 cakes designed to the different flavor combinations that you want. Each one was so delightful and we had so much left over that we went home with a lot of cake for later! Christine at Cynfre's helped my husband and I decide on the cake we were looking for from design to different flavor combinations. Her communication was by far the best communication I had with any vendor. She was extremely detailed and captured every detail we were looking to have. For our wedding day they set the cake up and made sure every detail was in place. Everyone at our wedding absolutely loved our cake (vanilla cake, fresh strawberry filling with whipped cream, and butter cream frosting) and we went home with lots of left overs!